"Where the rubber meets the road" is never so true as it is when you have a mishap with your vehicle. The bottom line is – are you adequately protected if the unexpected happens? 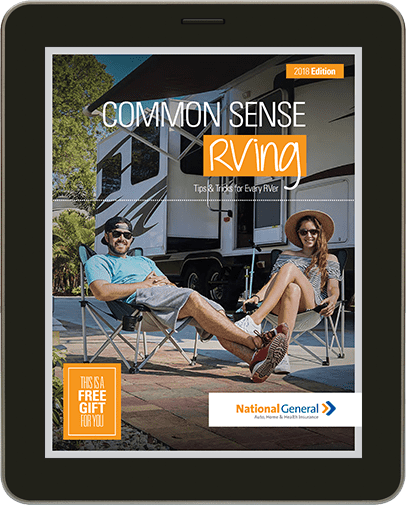 National General Insurance understands that you need coverages to protect your RV investment as well as to protect you and your family in case of theft, accident, breakdown or other loss. That’s why we have all the coverages you need for most recreational vehicles, including motorhomes, fifth wheels, mounted truck campers and more. Storage Option – Save money by suspending the coverage you don’t need during the months your RV is not on the road. You’ll still be fully protected against threats like fire, storms, wind and theft. Just six months of this exclusive Storage Option could save you up to $400! RVs and autos on one convenient policy – Earn a multi-vehicle discount of up to 20% for insuring your RV and autos with us. And if your RV and auto are ever involved in the same covered accident, you’ll only be responsible for one deductible, not both! 2 Not available in TX. RVs with an original cost new of $500,000 or more will be insured only if all autos in household are also insured with National General Ins. Underwriting approval required.